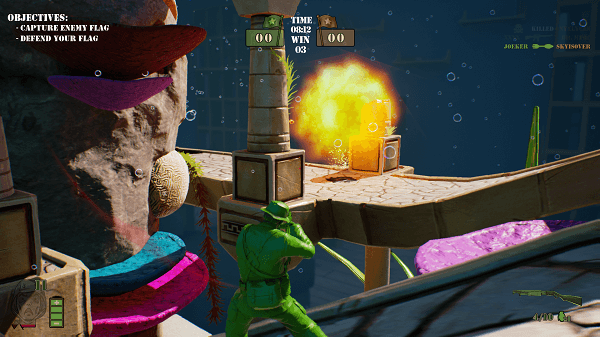 Straight from Ark: Survival Evolved developer, Virtual Basement’s The Mean Greens Plastic Warfare is a thrilling third person shooter that aims to bazooka your nostalgia to smithereens. 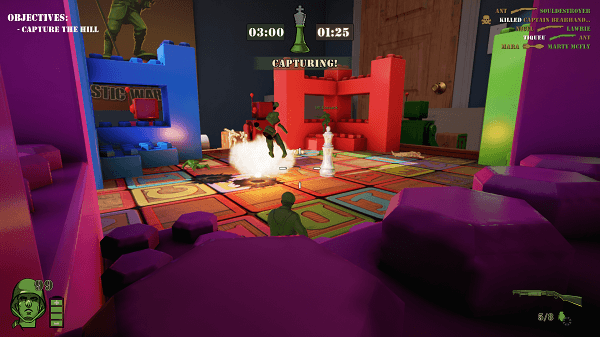 It takes inspiration from the Army Men franchise, especially from Sarge’s Heroes, and it builds on top of it by adding one crucial element, which modern multiplayer shooters tend to disregard – fun. It’s riddled with little issues that put a dent in your overall gaming experience, but it’s definitely worth the $14.99 base price. I would have loved a more polished game, however. The Mean Greens Plastic Warfare is a multiplayer-only, online-only third person shooter, which pins one five-person team against another – green versus tan. As to why the greens are mean, there’s no answer. There’s no single player campaign that sheds a light on what atrocities the greens did, nor is there any story whatsoever throughout the title. But the story isn’t actually the point of the game. Maps are built around the idea of tiny plastic soldiers battling each-other around the house – exactly like you imagined when you were six years old. Plastic warfare is waged in quirky locales such as the bathtub, a fish tank, a toy train that constantly moves around the room, and other amusing places. And this is where I found out that my boombstick is quite useless against a whole army of plastic soldiers. It has ten game modes, and each one has a designated map – capture the flag, free for all, king of the hill, team deathmatch and other unique and fun to play settings. All of the weapons are available straight from the get-go, which destroys the trend set by Battlefield and Call of Duty – there’s no need to rank up experience, or meet certain requirements to unlock guns. You got your usual M-16 rifle, a sniper rifle, a shotgun, a bazooka and a flamethrower. Ow, and also a grenade. There’s isn’t any real ammo, to be frank. Once you’ve shot your bazooka, you’ll have to wait a couple of minutes for it to recharge – the cooldown mechanic is alive and breathing. Bazooka is currently top dog as it’s a one-shot-kill weapon, the sniper rifle is mildly infuriating, and grenades can stealthily obliterate a team of five. For $14.99 it offers more content than Star Wars Battlefront currently has. It’s pure online slaughter, but unfortunately, it gets quite annoying and a little bit boring. After about five hours playing The Mean Greens Plastic Warfare, I didn’t have the urge to melt other plasticky soldiers any more. I still get back to it when I have a 10 minute break at work – as well as I do with Rocket League; but that’s about it. Bugs can be fixed, and maps can be added, but at the end of the day, The Mean Greens is an overly simplistic online multiplayer shooter. It’s super-fun, but if you’re looking for something more immersive, this isn’t it. 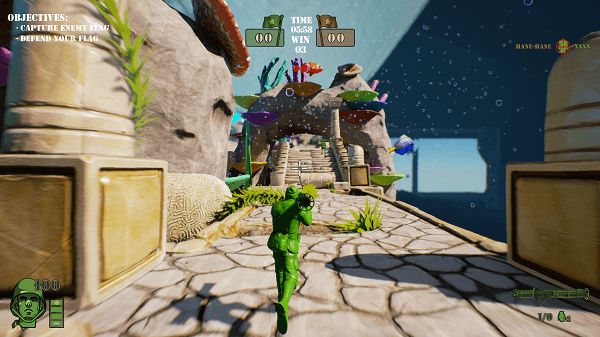 The Mean Greens is built with the help of Unreal Engine 4, and it gives it the perfect look. It’s pulpy, it’s crisp and I could just literally waste time exploring around its beautifully made maps – my favourite is Art Table Shuffle, the free for all mode. 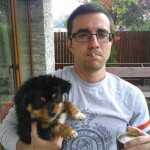 A bazooka? For me? Just in time for Christmas? With bullets and bazooka rockets flying from all over the place, you quickly understand the joy of Plastic Warfare. The extraordinary music, and I can’t stress this enough, accompanies the whole vibe of the game just perfectly. In my book, it’s one of the most thought through OSTs of the year. The most interesting map, however, is Barnyard Ball, with Operation Birthday coming in second. To win at Barnyard Ball, you need to score a goal by pushing the huge soccer ball inside the enemy’s barn. It’s not that easy of a task when the enemy is constantly tossing grenades and firing at you – more so, considering that the giant football piggies are against anyone and everyone. This lethal football gives hat-trick a new meaning. I don’t think I’ll ever let this bazooka down. 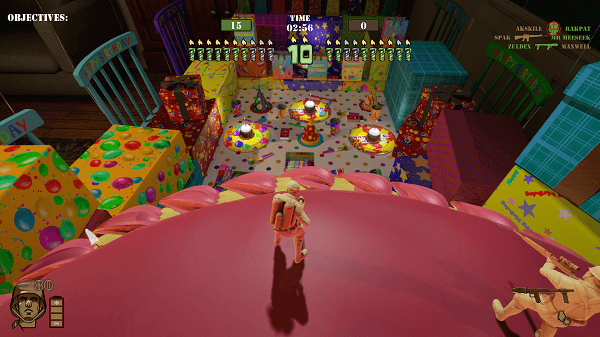 Operation Birthday is a sort of king of the hill mode, where players go through two phases. The first one is where a team is helming the defences as the other attacks – at all costs, you need to stop the enemy team from lighting up the birthday candles. It takes a few minutes and then the sides switch. I just love the smell of napalm in the morning, and especially at birthday parties. I whole-heartedly recommend The Mean Greens Plastic Warfare as it’s a ton of fun. It’s the perfect quick-blast for newcomers and veterans alike – yet, veterans will most likely want something with more feel to it. From the first match you’ll fall in love with its awesome nostalgia-inducing soundtrack, it has an infectiousness to it that I can hardly describe and you can’t possibly rage – literally, you’ll be too into it to get upset that a team member isn’t doing what he’s supposed to. 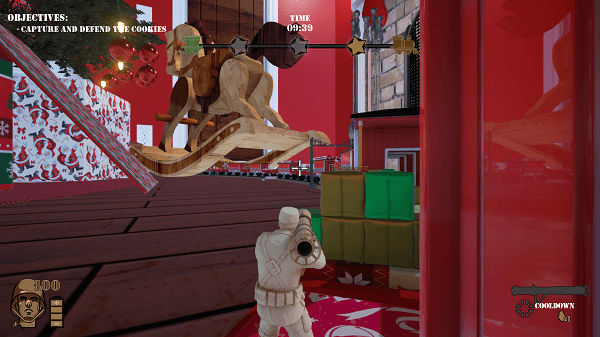 Download The Mean Greens Plastic Warfare from Steam – $14.99. Don’t forget to check our Game Deals and Promo Codes page for awesome discounts. Never pay full price for a game ever again. Currently, The Mean Greens Plastic Warfare can be bought at a 34% discount.